At the end of last month, the SEC announced “the award of more than $22 million to a whistleblower whose detailed tip and extensive assistance helped” the SEC bring to an end a “well-hidden” fraud at Monsanto where the whistleblower worked as an executive for the company. The SEC’s settlement with Monsanto, announced in February, resolved charges that Monsanto had “violated accounting rules and misstated company earnings as it pertained to its flagship product Roundup.” As a result of the settlement, Monsanto agreed to pay the SEC an $80 million penalty and retain an independent compliance consultant. Three accounting and sales executives also agreed to pay penalties to the SEC to settle similar charges against them. According to the SEC, its investigation uncovered that Monsanto “had insufficient internal accounting controls to properly account for millions of dollars in rebates offered to retailers and distributors of Roundup after generic competition had undercut Monsanto’s prices and resulted in a significant loss of market share for the company.” The SEC said that Monsanto “booked substantial amounts of revenue resulting from sales incentivized by the rebate programs, but failed to recognize all of the related program costs at the same time.” As a result, “Monsanto materially misstated its consolidated earnings in corporate filings during a three-year period,” the SEC alleged. The SEC’s investigation found no personal misconduct by Monsanto CEO Hugh Grant and former CFO Carl Casale, who both agreed to reimburse Monsanto $3.1 million and $728k, respectively, for cash bonuses and certain stock awards the two received during the time period when the alleged violations occurred. Stuart Meissner, the attorney who represented the former Monsanto exec, said his whistleblower client took his information to the SEC only after trying to correct the accounting issues internally at Monsanto. “Internal gatekeepers like our client represent the first line of defense against financial wrongdoing at companies,” said Meissner. Meissner also said that the award to his client represents more than 28 percent of the total $80 million penalty paid by Monsanto to the SEC, which is nearly the 30 percent maximum allowed under the SEC’s whistleblower bounty program for recoveries greater than $1 million. Meissner has declined to identify his client publicly. 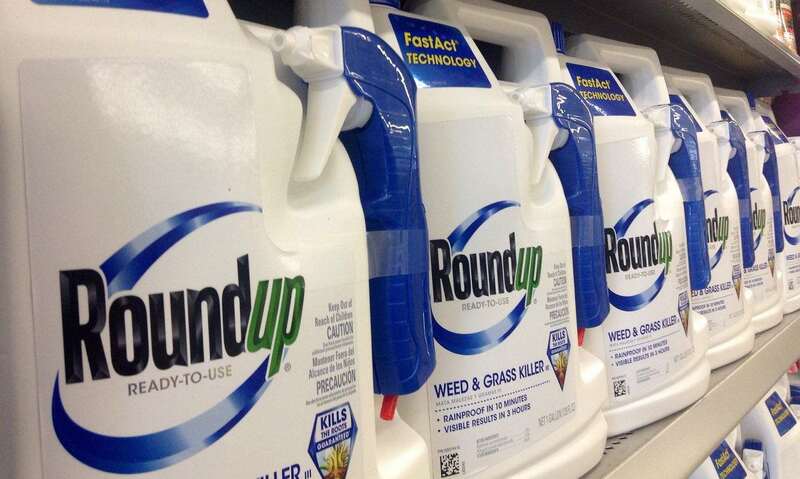 “Monsanto remains committed to operating its business with the utmost integrity and transparency and in compliance with all applicable laws and regulations,” Charla Lord, a company spokeswoman, said in an e-mailed statement. Furthermore, Lord said it would be inappropriate for the company to comment on the SEC’s whistleblower program or the specific reward. The $22 million award issued by the SEC is the second-largest whistleblower award issued by the SEC. The largest whistleblower award, $30 million, was paid in 2014. Including the $22 million award, the SEC has now paid more than $100 million in whistleblower awards to 33 whistleblowers since the SEC began paying awards in 2012. By way of some 14,000 whistleblower tips and other information, the SEC has said that it has been able to recover more than $500 million in financial remedies, much of which ($346 million) has been returned to harmed investors. Congress authorized the SEC’s whistleblower program in 2010 as the SEC was trying to strengthen its enforcement efforts in the wake of its failure to act on a detailed tip that Bernard Madoff was operating a multibillion dollar fraud. Under the SEC’s whistleblower program, whistleblowers may be eligible for an award when they voluntarily provide the SEC with “unique and useful information” that leads to a successful enforcement action. SEC whistleblower awards can range from 10 to 30 percent of the amount collected when the monetary sanctions imposed exceed $1 million. The SEC paid its first award in 2012; just one year after its Office of the Whistleblower opened its doors. By law, the SEC protects the confidentiality of whistleblowers and will not disclose information for any reason that might reveal a whistleblower’s identity. All whistleblower award payments are made out of an investor protection fund established by Congress, which is financed through monetary sanctions paid to the SEC by securities law violators. No money has been taken or withheld from harmed investors to pay whistleblower awards. In addition to paying out awards to whistleblowers, the SEC has also brought a number of actions to protect employees who have reported wrongdoing to the SEC, including one enforcement action under the anti-retaliation provisions of the Dodd-Frank Act and four actions against companies for including language in confidentiality and severance agreements that impeded whistleblowers from reporting to the SEC. If you or someone you know has information regarding possible securities law violations or other misconduct that may be reported to the SEC’s Office of the Whistleblower, please contact our whistleblower attorney team today for a consultation. You can contact our whistleblower attorney team via email at kporter@chrisjen.com, by phone at (801) 323-5000, or by filling out our online form.